Do you ever feel like editing vacation photos just makes you feel incredibly sad and depressed and desperate to be back on vacation? I’m with you! It took me for-ever to edit all my San Francisco and Napa pictures and the whole time, I basically just sat here crying and drooling. Because, I’m not going to lie, at least 75% of the photos were of food. But then, what else is one supposed to do in San Francisco and Napa? 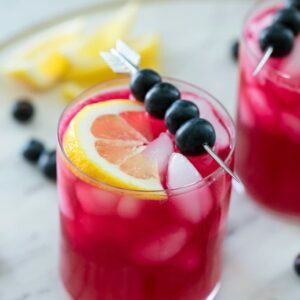 Oh, I guess drink, too. Don’t worry, we also did some of that! 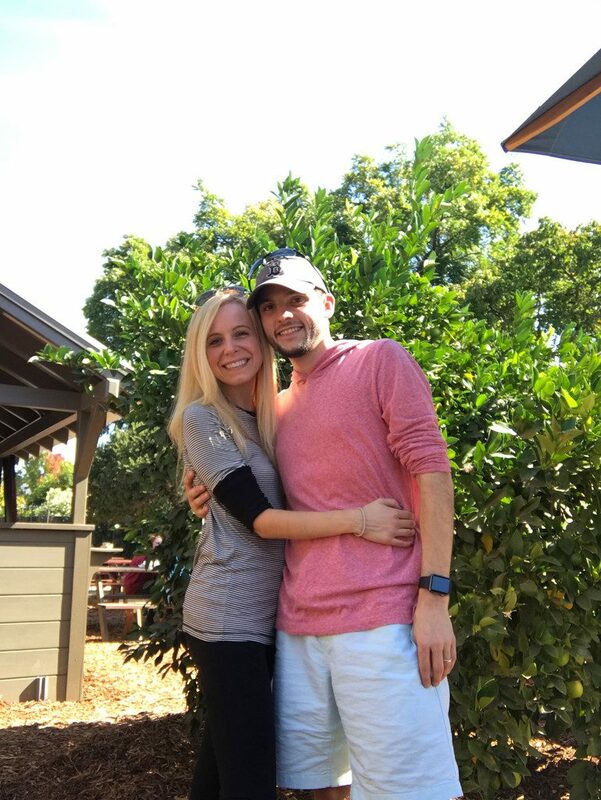 We went to California because Chris’s best friend from childhood moved there with his wife about a year and a half ago and we have been wanting to visit them since they made the move. They’ve come to visit us in Boston so many times and let’s face it, San Francisco is a little more of an exciting place to visit. 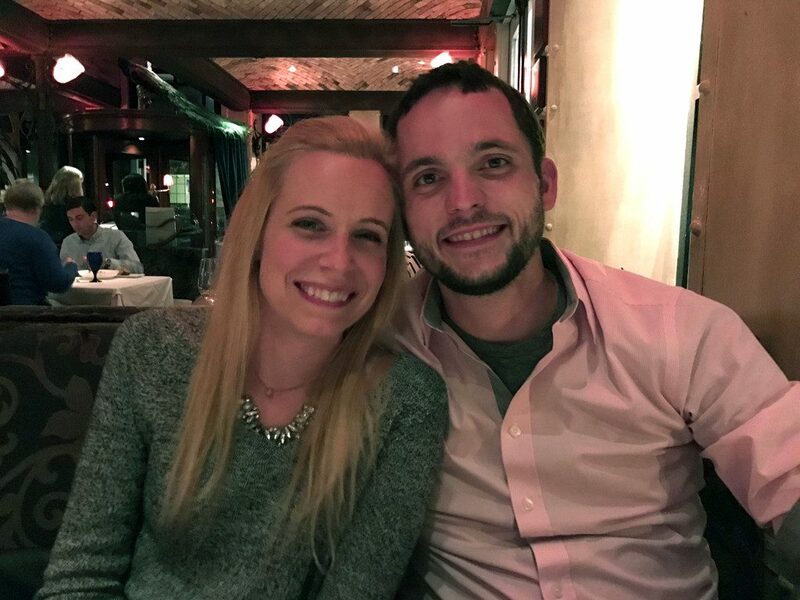 We got to spend an awesome long weekend of quality time with them, along with plenty of food, wine, and more. Here’s what we did on our trip broken down into what we ate, where we drank, what we did, and where we stayed. In-N-Out- Real talk here. My first meal in California was In-N-Out. Is that so wrong? It was also my very first time eating In-N-Out and I have to say that it was very much worth it. Definitely the best “fast food” burger I’ve ever had and the french fries were honestly some of the best fries of anywhere. Such a fab way to kick of our trip! 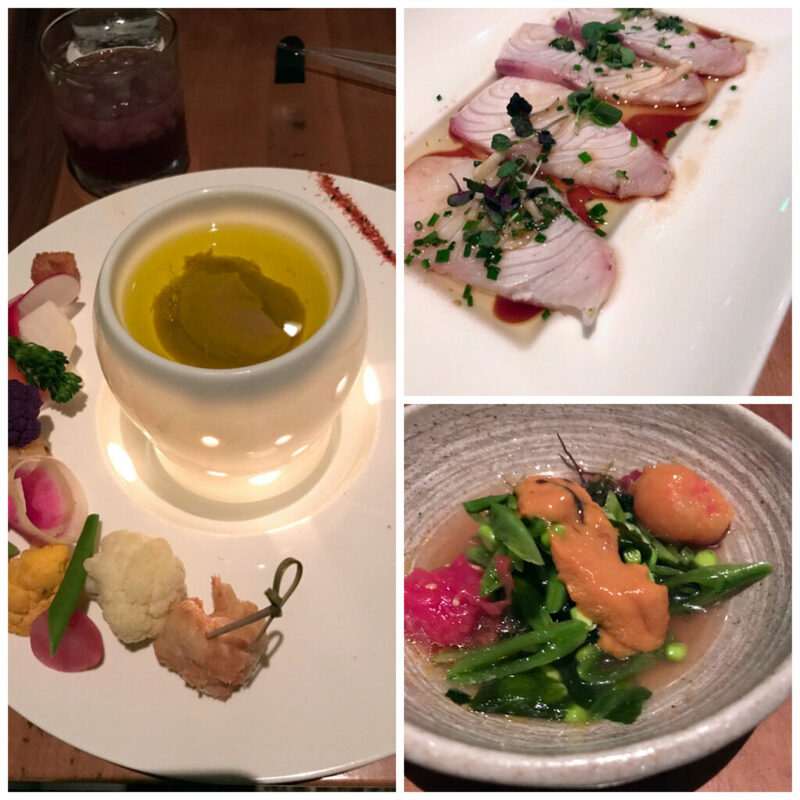 Morimoto- And trust me, once we got started, we did not slow down on the eating front until the day we left. After our first night staying at our friends’ home outside the city, we drove up to Napa. 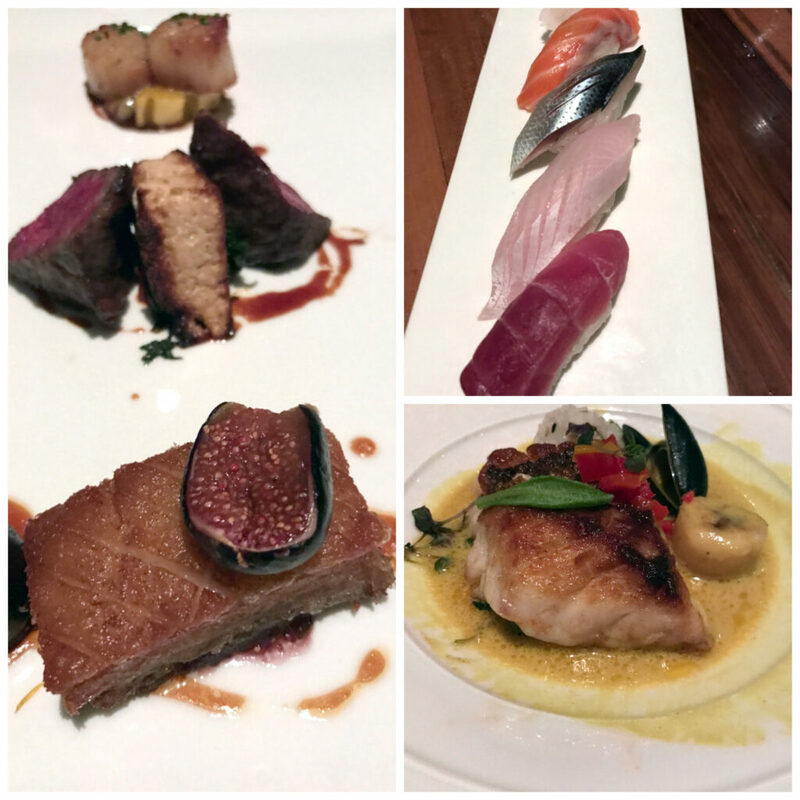 After stopping at a few wineries and hanging out at our house for a bit, we headed to Morimoto for an absolutely ridiculous dinner. 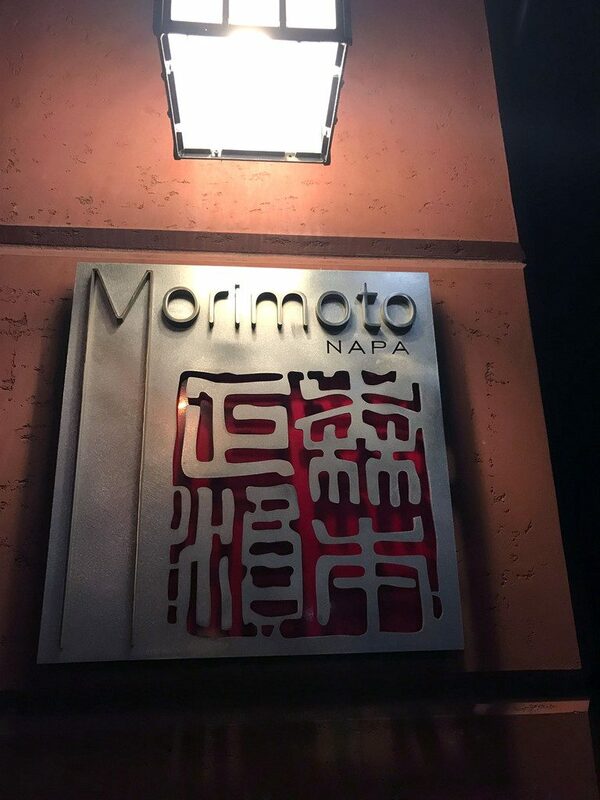 Chris and I went to Morimoto the last time we were in Napa and we loved it so much that we had to go back (in case you don’t know this about my husband, he is a serious man of habit and when he finds a meal he enjoys, he could eat it forever.). We weren’t really planning on doing the Omakase (chef’s tasting) again, but the menu is so extensive and we were having such a tough time deciding what to order that we just decided to go for it again. You only live once, right? Just like last time, this tuna tartare is the star of the show and basically of life in general. Not only is it stunning in appearance, but it’s incredibly flavorful and delicious and omg. But that’s not to say that everything else in the omakase wasn’t also delightful. I especially loved that oil that’s mixed with garlic and anchovy paste, into which you get to dip all the little vegetables and chicken. I’m always a fan of ceviche and while I’m not always a fan of uni (sea urchin), I gobbled up that uni dish. The surf and turf featured to-die-for pork belly, wagyu beef, and scallops. At that point in the meal, I was getting veryyyy full. But how could you not keep eating with this in front of you? Plus, that sushi!! And curry fish. I mean, when can we do this again?? That red drink was some sort of hibiscus palate cleanser and did its job perfectly. 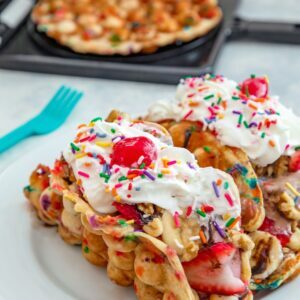 Dessert (because there’s always room!) was white chocolate lime ganache with coconut foam and mango sorbet and tapioca. The magic touch was Pop Rocks that added a whole lot of pizazz. Ad Hoc Addendum- Oh man, this is a good one. The last time Chris and I were in Napa, we went to The French Laundry, which was a DREAM come true. 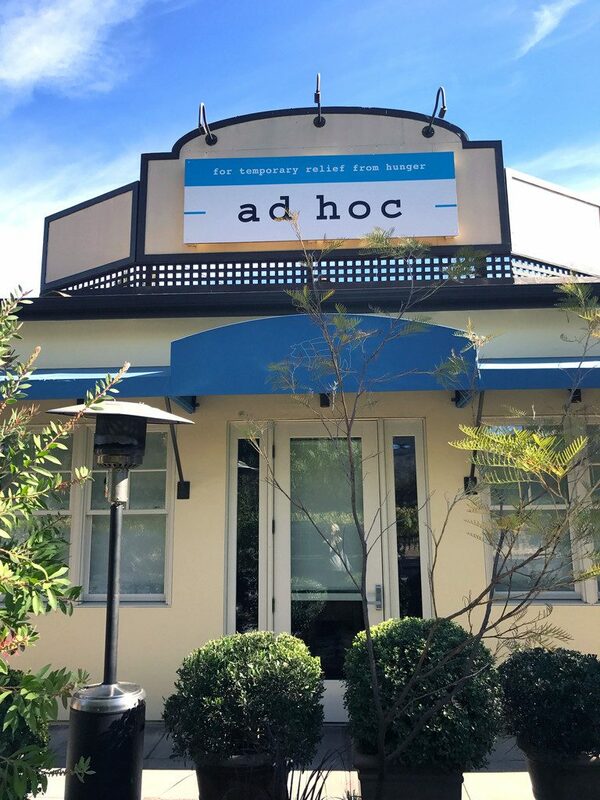 But we also heard really awesome things about Thomas Keller’s Ad Hoc. 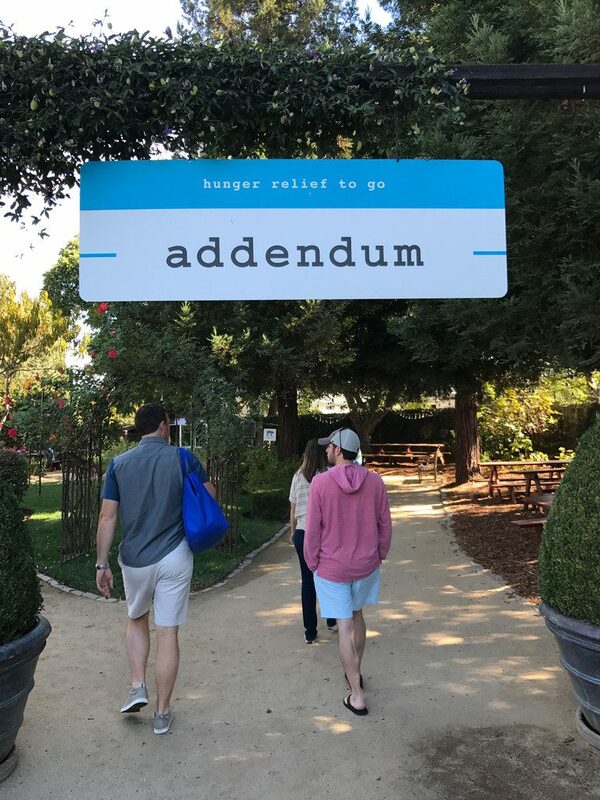 We already had a couple nice dinners planned for this trip, but we had heard that Ad Hoc had a little lunch spot out back called Addendum. Where they sold their famous buttermilk fried chicken every day. 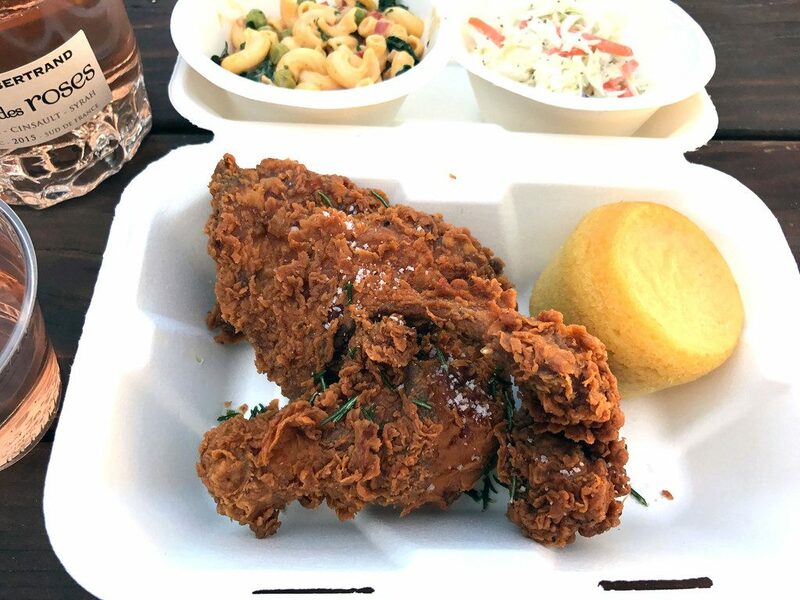 We are especially big fans of Ad Hoc’s fried chicken and have made it at home a couple times, so we decided we should try it straight from the source. Excellent decision. 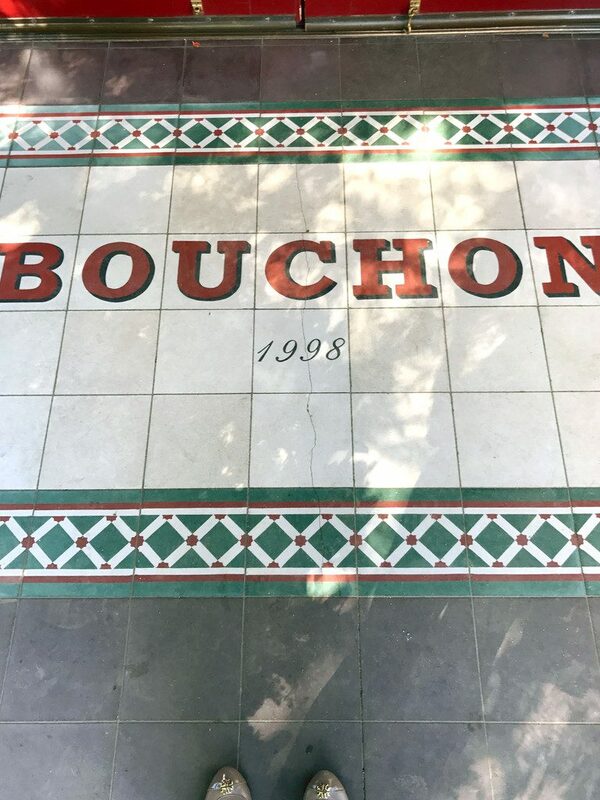 The restaurant is right near The French Laundry and Bouchon in Yountville; a beautiful location. And right behind it is Addendum. It’s kind of like you’re walking into some kind of wonderland when you pass under the sign. You order your food at the window. Oh, and did I mention you can bring your own wine?? Pretty much the best situation ever since you have probably been visiting vineyards all weekend and have a small to large stockpile of wine you’re dying to try. No corkage fee or anything. We all ordered the buttermilk fried chicken because how could you not?? But they also have pork ribs and a pulled pork sandwich. The chicken is $16.50 and with it comes three pieces of chicken, a piece of cornbread, and two sides. At Napa standards, that’s not a bad deal at all! Worth it? OMG yes. The sides were nothing to write home about (I had read many reviews before we went that shared these views), but the chicken was so crispy and flavorful and pretty much perfect. And the cornbread was basically cake. 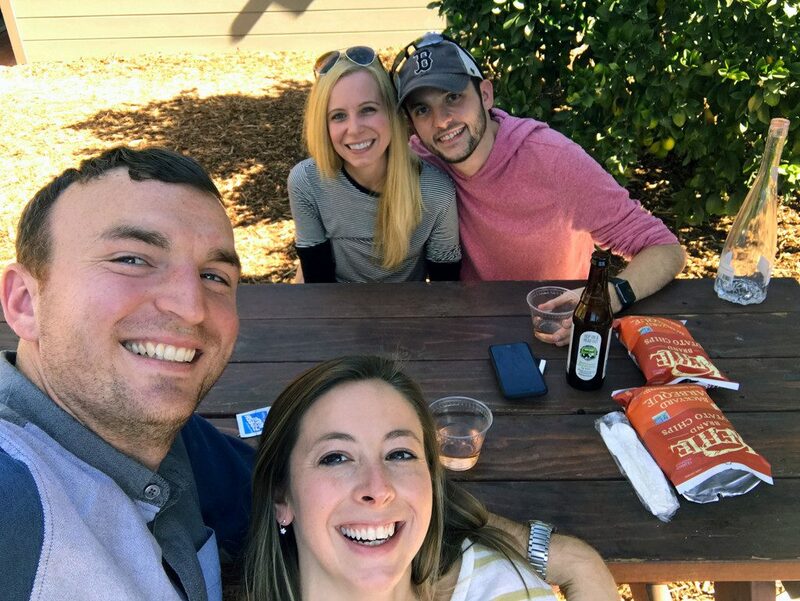 We ate our lunch, sipped our wine, and enjoyed the absolutely beautiful day. Why can’t I spend every day like this?? I didn’t want to leave. Ever. I never think of myself as much of a “California girl,” but if this is what life is like, sign me up! Bouchon Bakery- After lunch at Ad Hoc Addendum, we walked down the street a bit, waited in line at Bouchon Bakery, and ate our dessert while we walked (because I guess that cornbread wasn’t dessert enough??). I got a pumpkin spice macaron and um… IT WAS THE BEST MACARON I’VE EVER HAD IN MY LIFE. Seriously, I need the secret recipe ASAP or I’m not sure if I can survive. 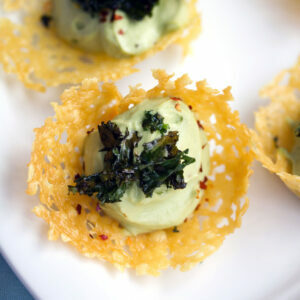 I’m sadly just not sure I can recreate it on my own, without a little help from Thomas Keller’s crew.. 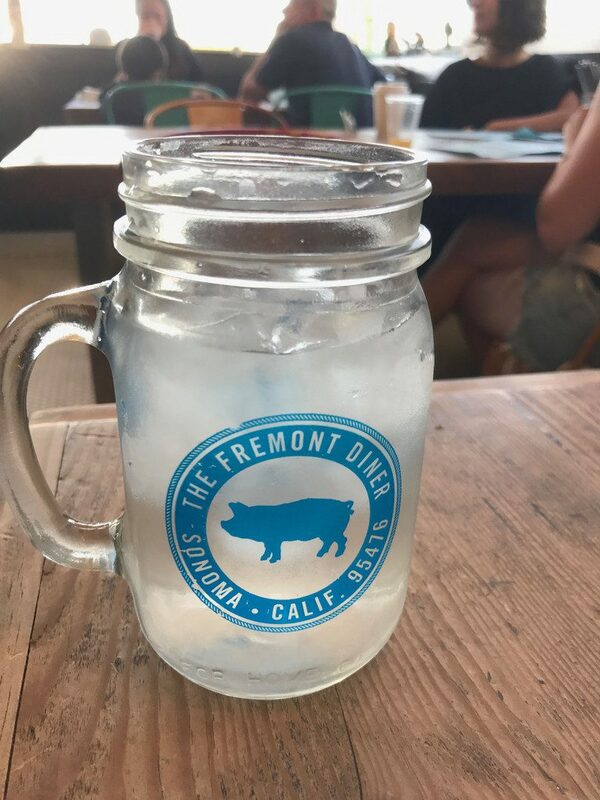 The Fremont Diner- My boss travels to San Francisco and wine country quite a bit, so I asked him for some recommendations before I left. 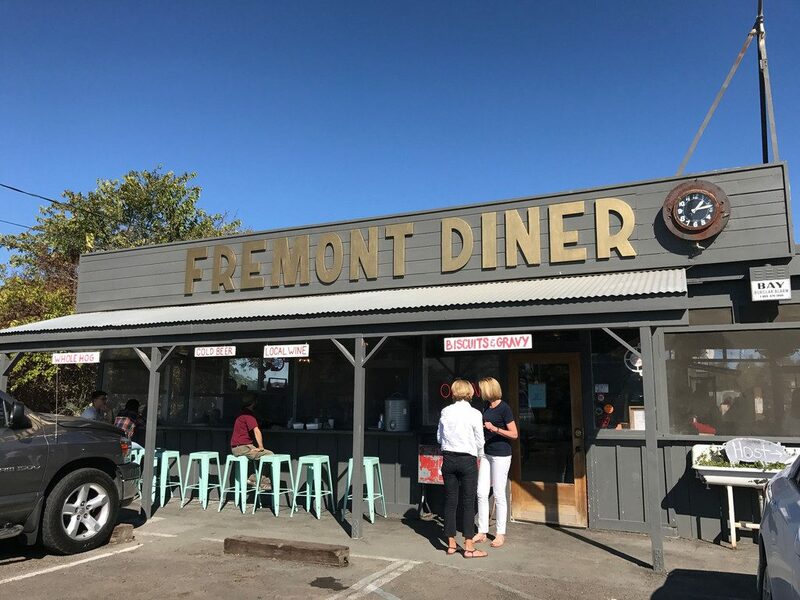 He said that if we were going up to Sonoma, we had to stop at The Fremont Diner. So, we did. 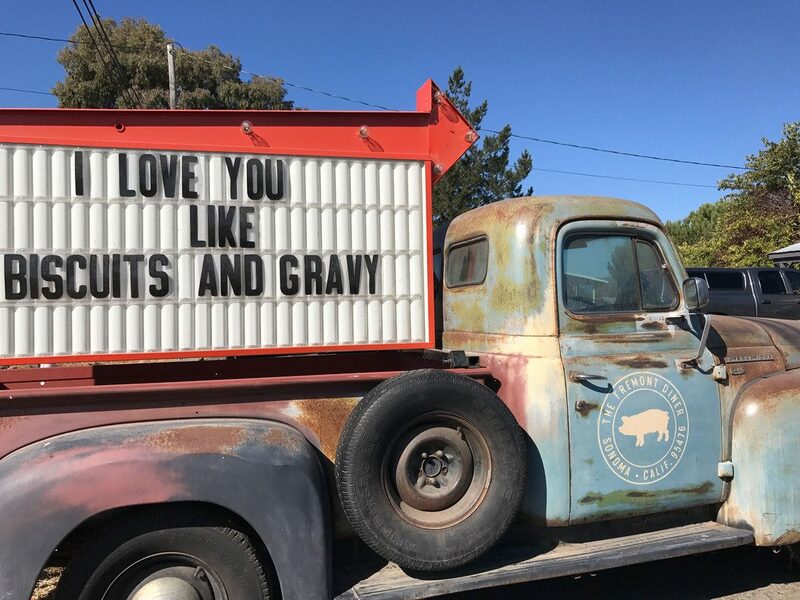 Judging by the front of it, it may not be the type of place we’d stop at if we were just driving by, but based on his recommendation, we pulled right in. Part of it may have also had to do with this awesome truck out front. The wait was over an hour, but we decided to stick it out. In part because they have a little mobile truck out back serving mimosas. And in part because there is so much to look at, lots of places to sit, and lots of people to watch. We ended up finally being seated inside (the outdoor backyard area is the cutest, but it was almost 90 degrees at this point, so no complaints here!). And started ordering ridiculous amounts of food. The menu is a little overwhelming because everything looked necessary, but our waitress was super helpful in making recommendations. 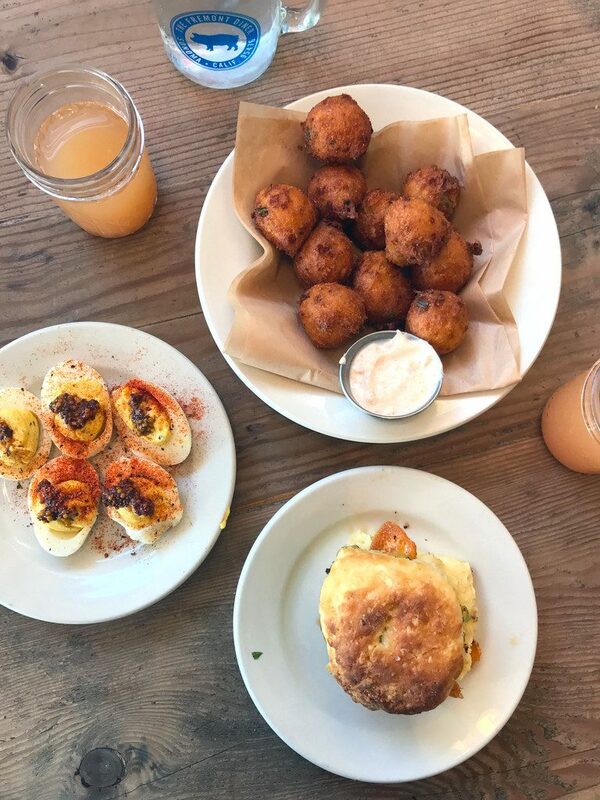 We started with the deviled eggs, cheddar jalapeño hushpuppies, and sausage biscuit. 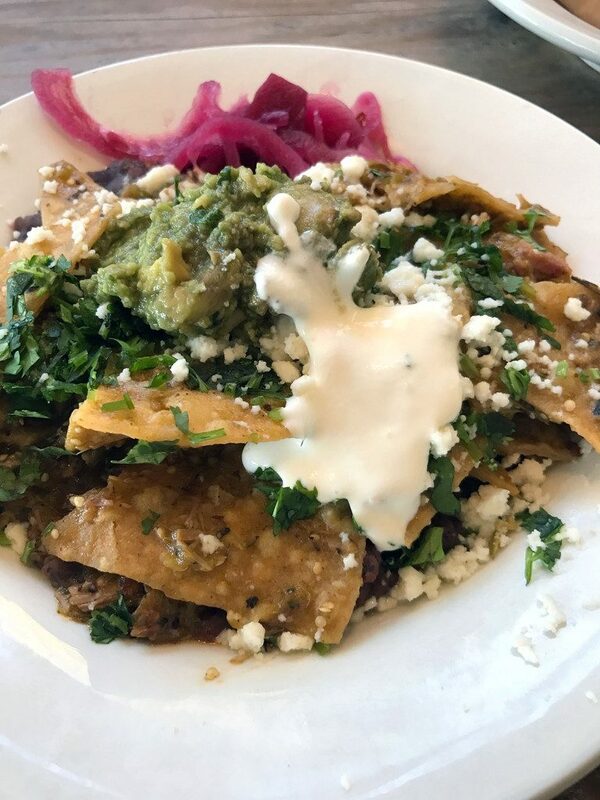 For my meal, I got the chilaquiles which were made with chile verde and smoked pork. Wow. Looking at this picture is making me crave it all over again. 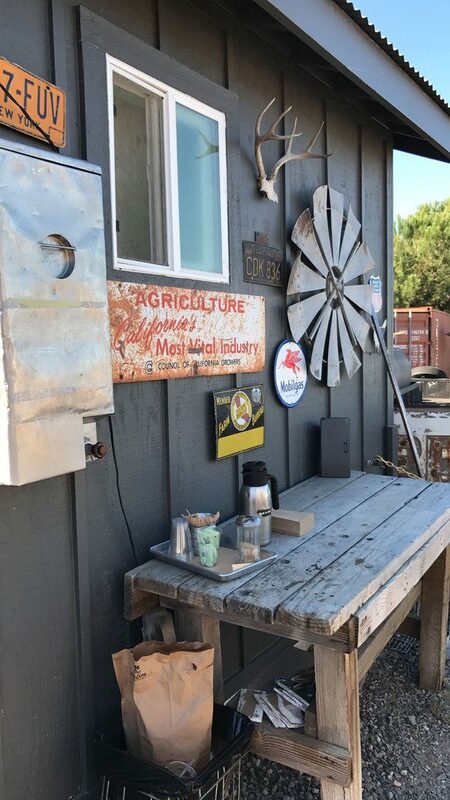 This isn’t exactly the type of food I expected to be eating in California, but it felt so perfectly right in the surroundings. Everyone at the table loved their meals. The hot Nashville chicken was an especially big hit… with that mac and cheese! 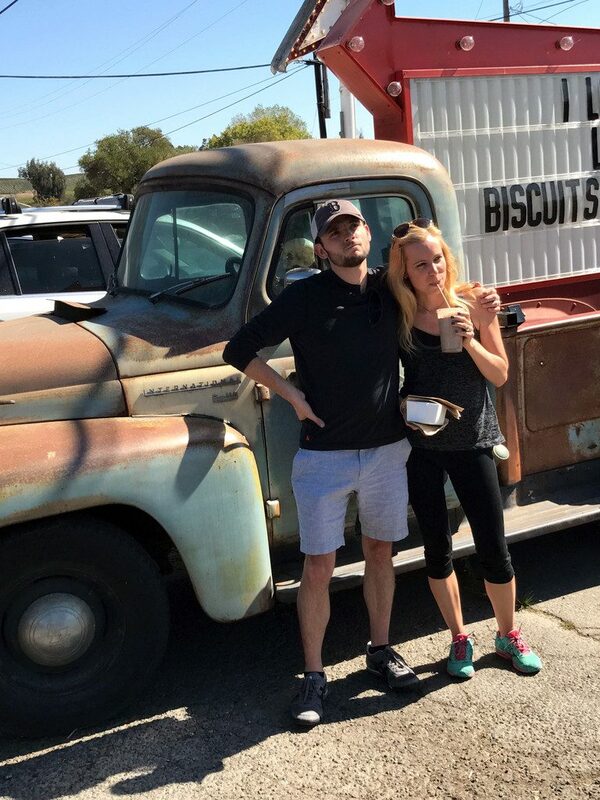 We took obligatory hipster photos out front… But not before getting milkshakes to-go. I went with the Mexican chocolate shake and it was perfectly spicy. Just a note that after this meal, we were full for literally the rest of the day. I mean, we clearly overdid it on the ordering front, but still. Kudos to the Fremont Diner for incredibly satisfying good that will not leave you hungry hours later. Eight AM- This is just a quick one, but still most definitely worth mentioning. Our first morning in San Francisco (the morning after being full all day from Fremont Diner), Chris and I were looking for somewhere to grab breakfast. Surprise, we were hungry again! 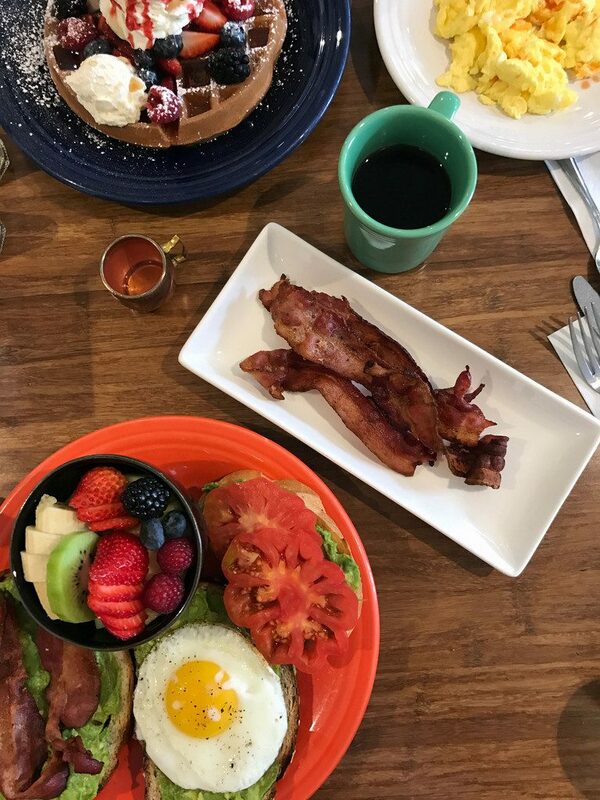 I looked up a ton of places and eventually settled on Eight AM in Fishermans’ Wharf because it was within walking distance of our hotel and I was salivating over everyone’s photos on Yelp. Great choice! 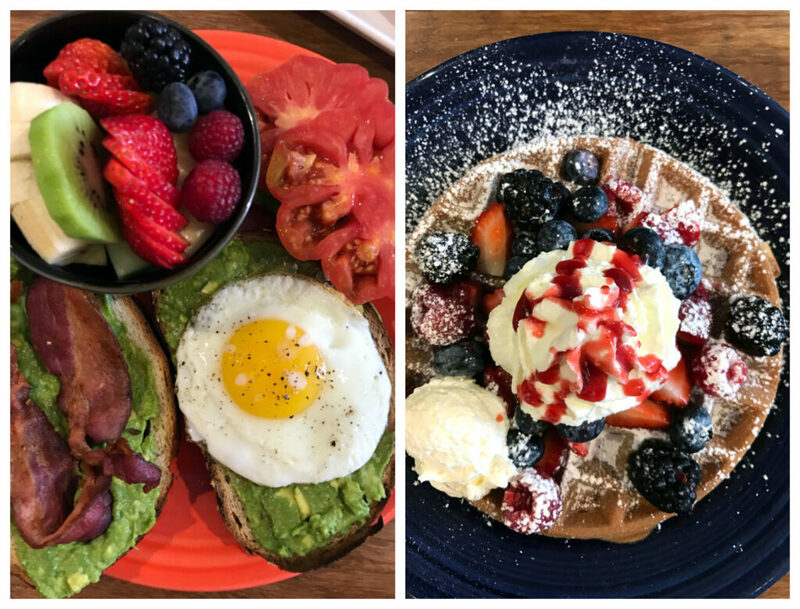 I got avocado toast three ways and all that beautiful fruit. Chris got the Belgium waffles, scrambled eggs, and bacon. I was thrilled to see avocado toast on the menu and felt like it was the perfect way to start my day. Everything was delicious and the service at Eight AM was especially notable as everyone was so, so nice. 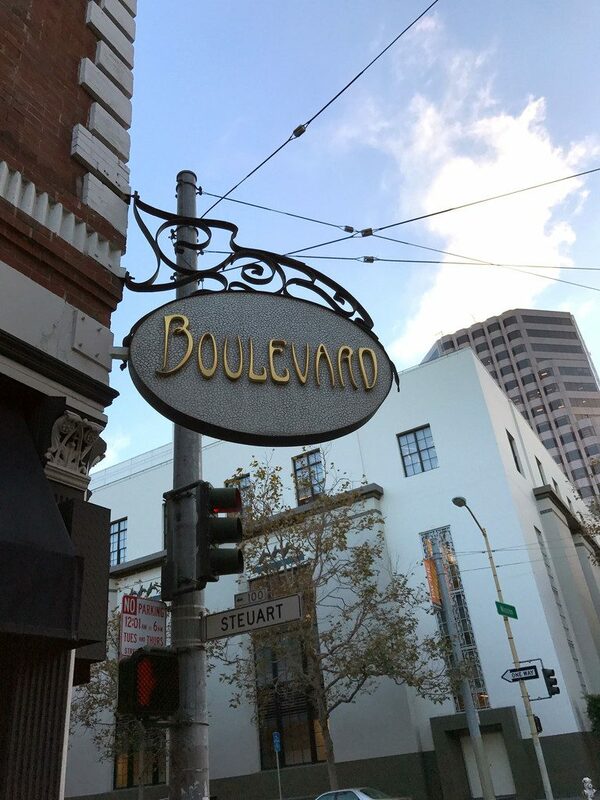 Boulevard- Which brings us to our big San Francisco dinner at Boulevard. 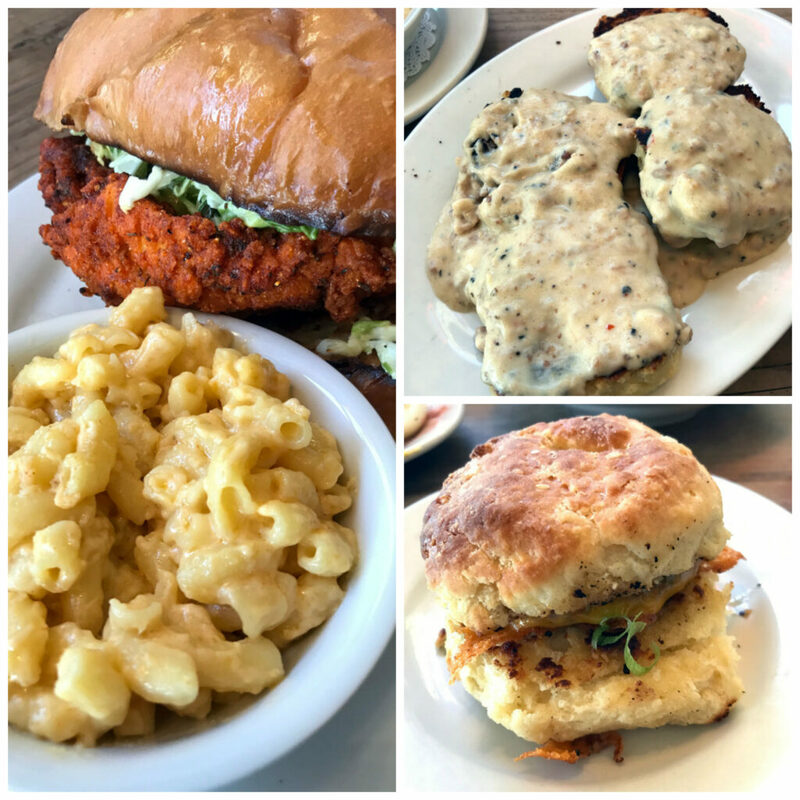 I had heard so much praise for Boulevard from so many people that when I was looking at restaurants to visit, it was super high up on my list. I absolutely loved the sophisticated old-time feel inside Boulevard. 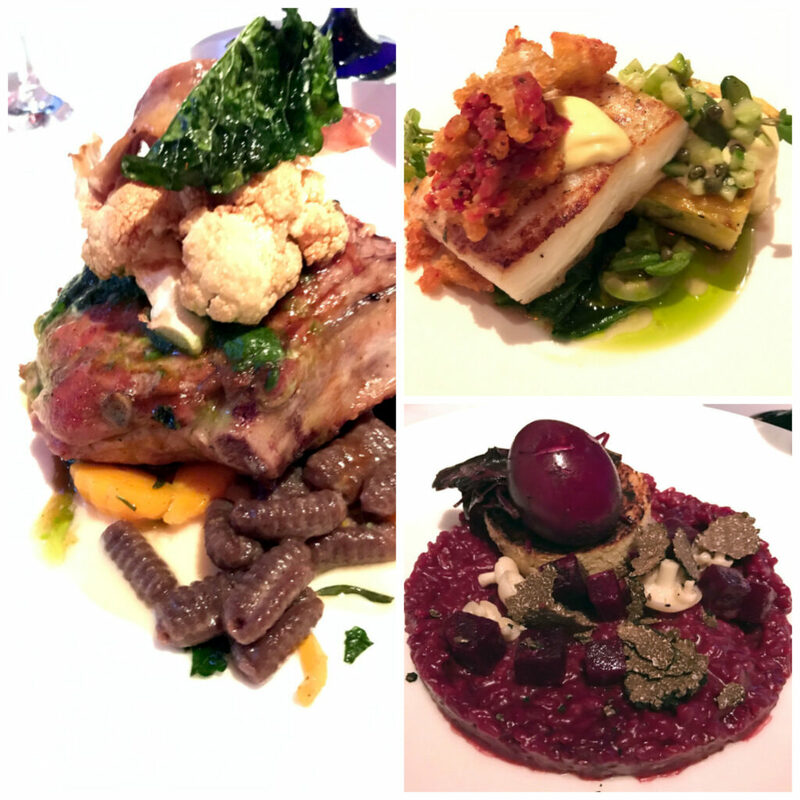 Since it was so dark inside, my photos aren’t the best, but I think it’s pretty easy to see that Boulevard really cares about presentation; the colors of our entrees were all stunning. I ordered the halibut, Chris the pork chop, Ricky the quail, and Shelley the beet risotto. The risotto was especially interesting… Look at that egg! Each dish had so many different components that made eating the entrees like an adventure. Boulevard is definitely on the pricey side and while the service was impeccable, it’s also a little bit stuffy. It’s the perfect place for celebrating or for reuniting with friends. The desserts were incredible (my photos not so much) and the sommelier was super helpful in helping us choose a nice bottle of wine that didn’t totally break the bank. Was that enough food for you? The toughest thing about being in Wine Country is that there are SO many wineries everywhere you look and really only so much wine you can drink in a day (you know, if you still want to be coherent and actually remember you’re trip). So, we didn’t go too crazy on the winery visits, but did make some stops at a few. Here are some of the most notable. Stag’s Leap- This was our first stop and the kind of winery that you could sit at and enjoy all day. I knew a little about Stag’s Leap before our visit, but had never been to the vineyard before. We did a tasting (which is pretty pricey at $40/tasting, but hey, you’re also paying for the stunning view) and definitely could have sat outside and sipped on the Cask 23 all day. Mumm- We had to make a stop at Mumm for a little bubbly! 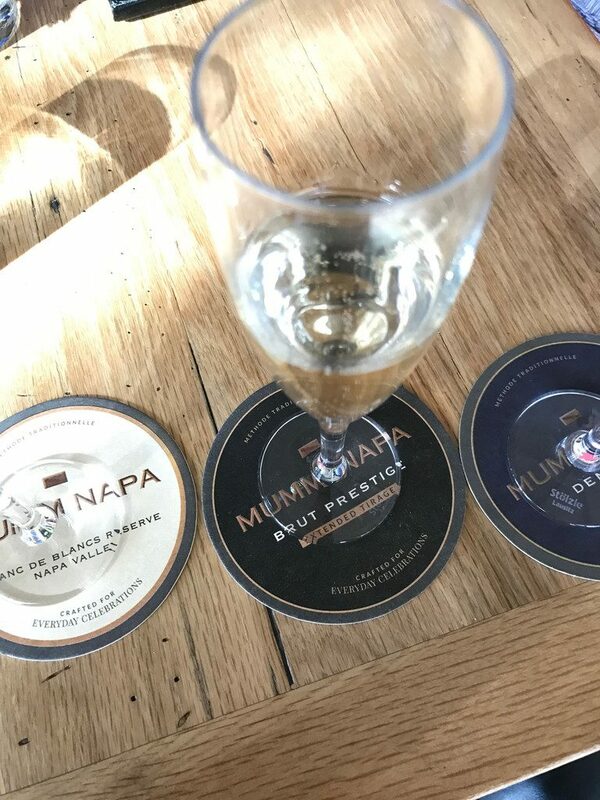 I’m already a big Mumm fan, but it was fun to visit and do a tasting… Our waiter was great and kept bringing us additional wines and having us guess what they were. We were especially impressed with the pinot noir blanc and the Cuvée M Red. Everything was so reasonably priced, too. Again, sitting and looking at the vineyard while drinking champagne is pretty much what I want my life to be. Lava Vine- One afternoon, we drove up to Calistoga and decided to just stop at spots that looked interesting. We loved the name “Lava Vine” and a quick check of online reviews looked good. We stopped in to find one of the chillest most down to Earth wineries we’d ever been to. 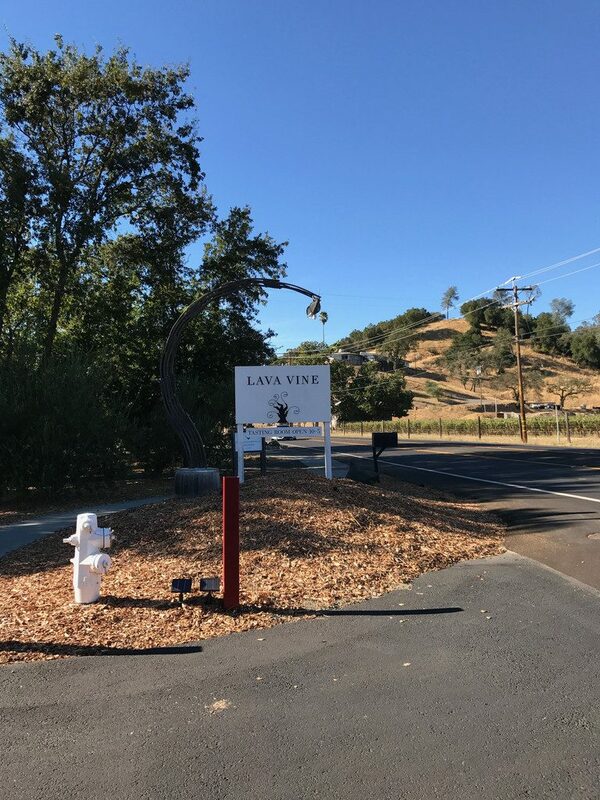 The Lava Vine wines were delicious, but the atmosphere and conversation with employees was even better. There was a small stage in the corner with lots of instruments on it and we were slightly disappointed that nobody broke out into song while we were there. 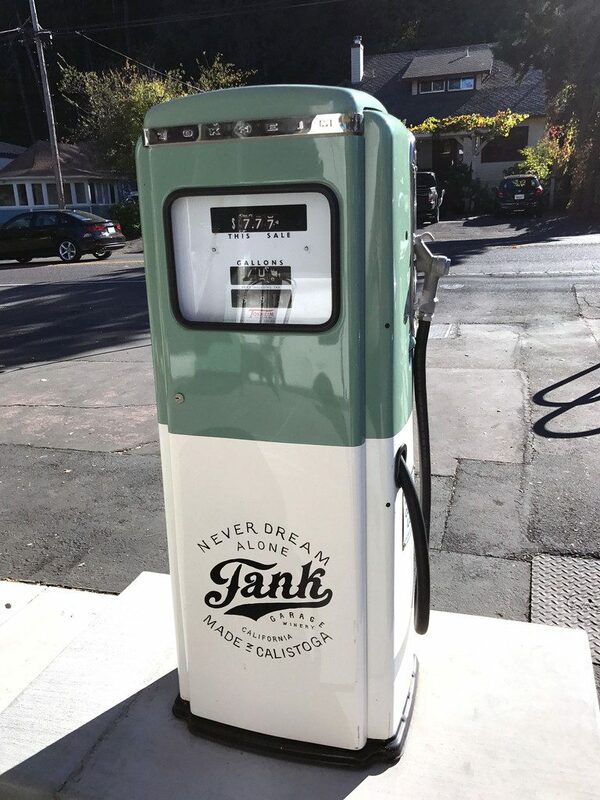 Tank Garage Winery- Before we left Lava Vine, we asked if they had any recommendations for other wineries in Calistoga and they pointed us to Tank. We wanted some other low-key, not stuffy wineries and this most definitely fit the bill. 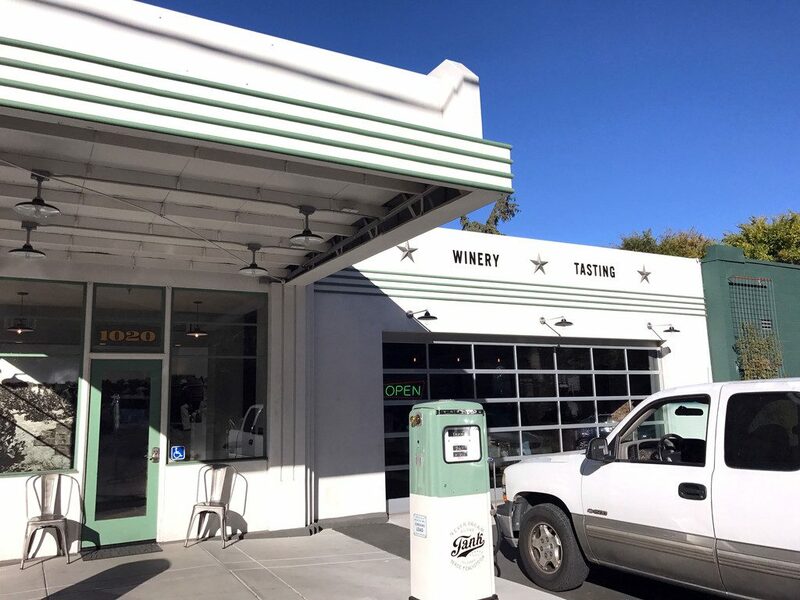 I mean, this winery is located in an old retro gas station. Inside Tank is a pinball machine, tons of retro decor, and some of my favorite wines of the trip. And without a doubt, my favorite wine bottle labels… Which we all know is extremely important! 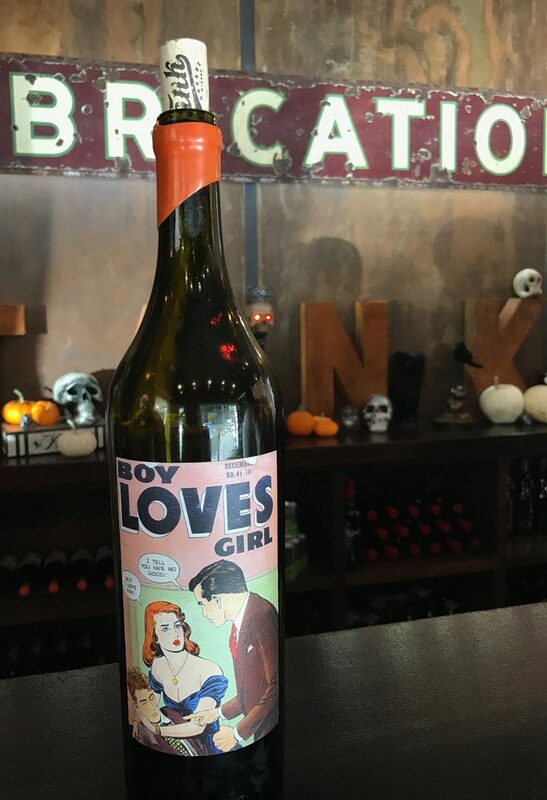 We all loved the Boy Loves Girl white, but my favorite was The Heavy Cabernet Sauvignon. I’m also not really a huge fan of Chardonnay, but LOVED the Nothing Gold Can Stay. It wasn’t really sweet, but somehow still tasted like dessert. Chris wouldn’t let me join any wine clubs this visit, but I was really tempted to just sign up for Tank’s while he was distracted by the pinball machine. Since they’re always coming out with new wines, getting a wine club delivery is a super fun surprise every time. Tank, I will be back! Russian River Brewery- OK, moving on from wine, we had to make a stop at Russian River Brewery. It was super crowded, but we sat here for a few hours (I think we were still digesting our morning meal at Fremont Diner…), sipping on beer and watching football (but REALLY watching the debate on our phones) and spending more time catching up with each other. 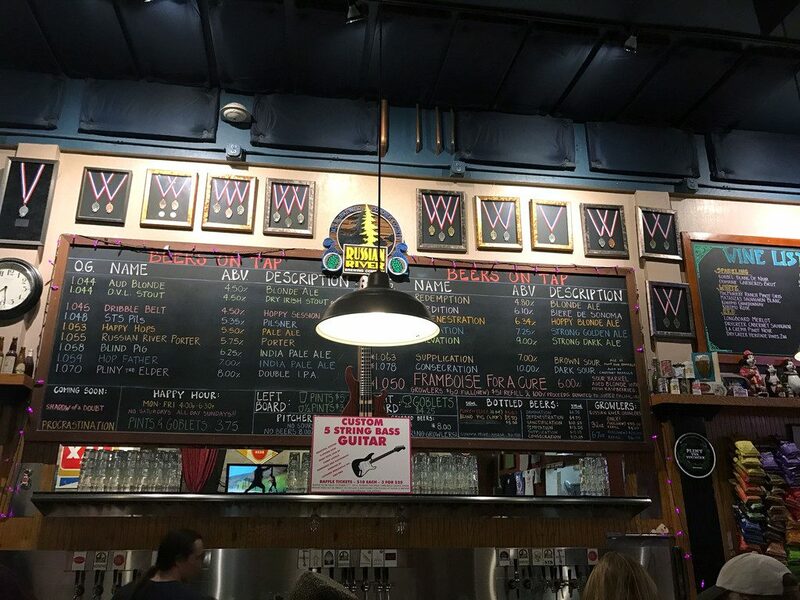 Russian River is especially known for Pliny the Elder, a double India pale ale, but I’m a lover of their sours and was excited to see a Framboise on the menu. I generally hate all raspberry liquors, but if it’s Framboise, I am so game. Russian River’s Consecration is my favorite, but at 10% ABV, I didn’t think it was a very wise choice. Whitechapel- And then comes the gin! This was our very last stop in San Francisco, where we stayed way too late before Chris and I had to get up at 4:00 a.m. for our flight. But so worth it. 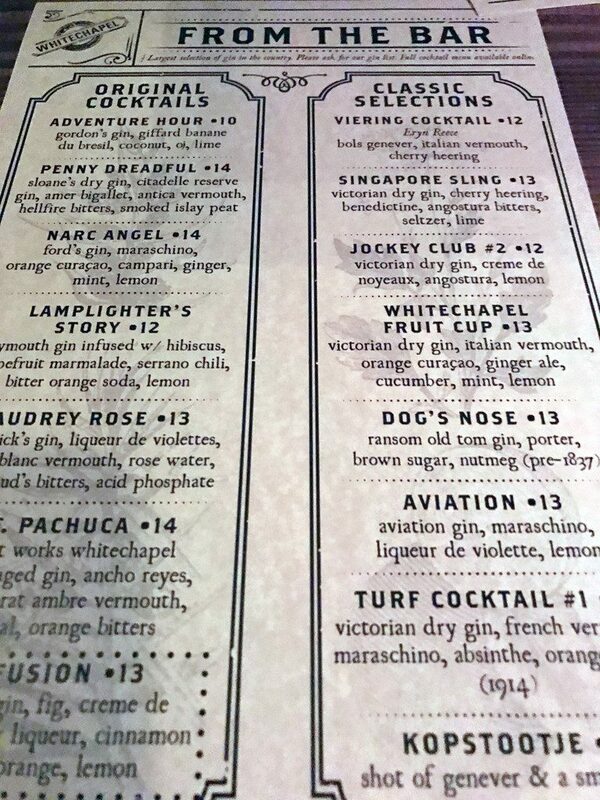 Chris is super into gin, so when I saw this place online, I knew I wanted to try to go. And then Shelley also brought it up as a place to go, so we headed over to Whitechapel after our dinner at Boulevard. 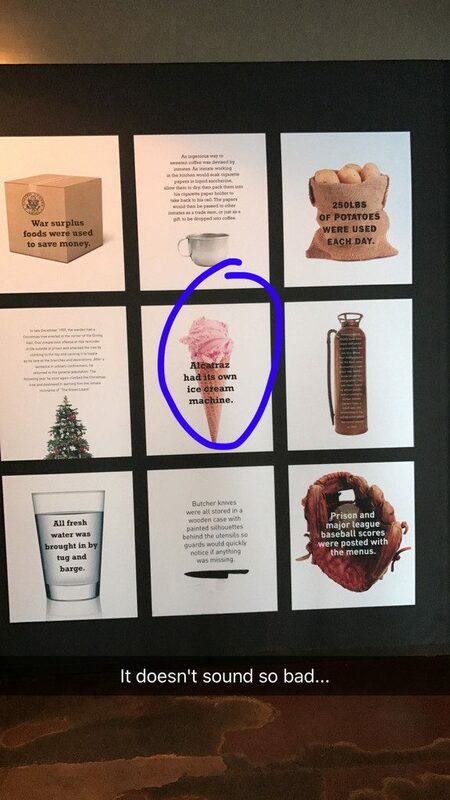 This is only a very small part of the menu. There is also an accompanying book. This bar features the largest gin selection in North America, so gin lovers? 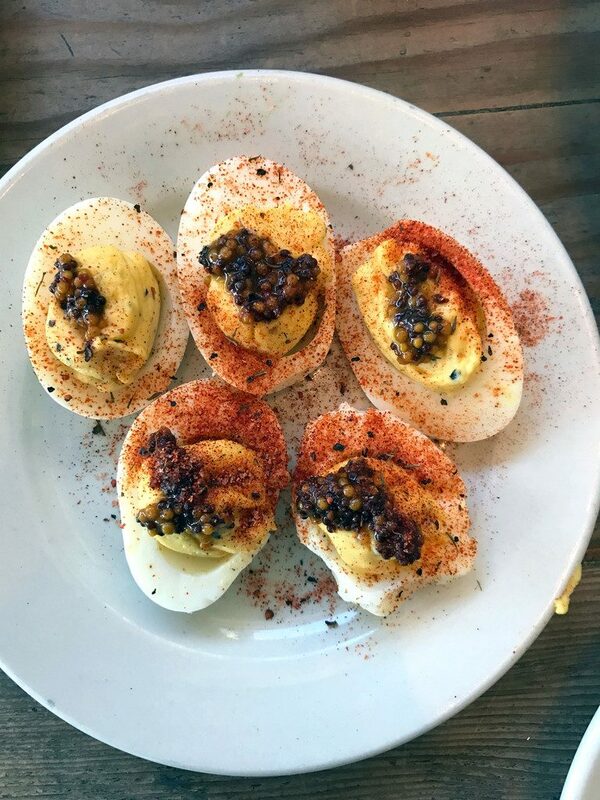 Make this a stop on your next tour of San Francisco. 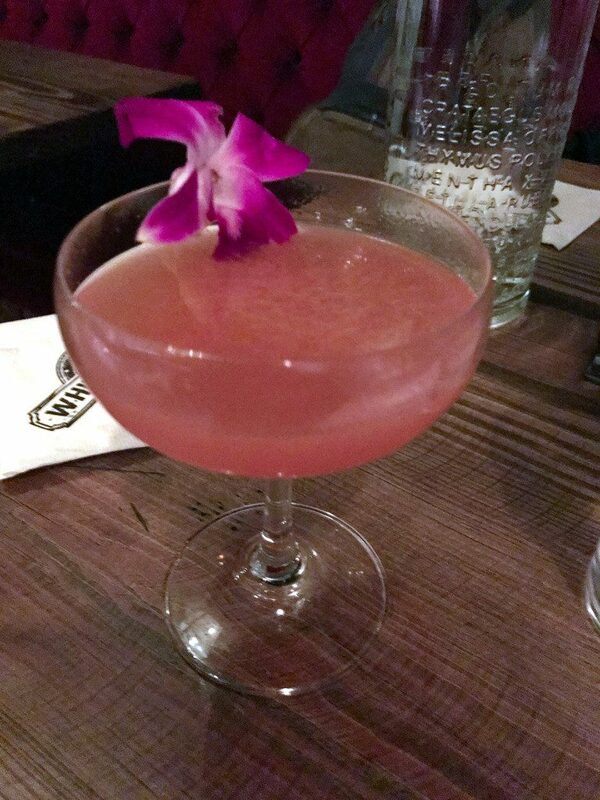 I tried a couple different drinks… This one is called the Popular Delusion with Spirit Works Gin, Dillon’s Cherry Gin, passionfruit, creole bitters, and lemon. I’m pretty sure you wouldn’t even need to be a gin fan to love this. So, we really did mostly eat and drink during our time in California. Is that so wrong?? To be fair, we also spent a lot of time catching up with our friends, which was really the whole point of our trip. But we also did a few activities! 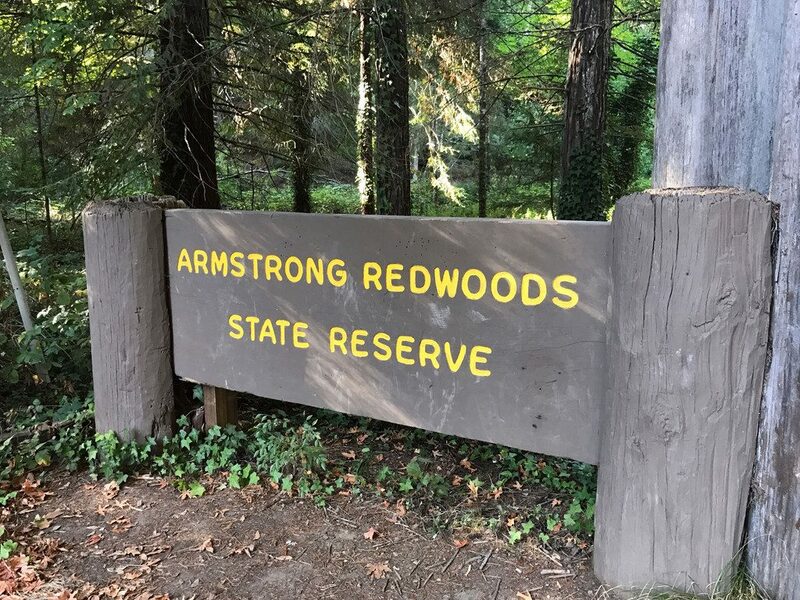 Armstrong Redwoods State National Reserve- On our way back from Wine Country to San Francisco, we stopped at Armstrong Redwoods State National Reserve for a little hiking and redwood viewing. 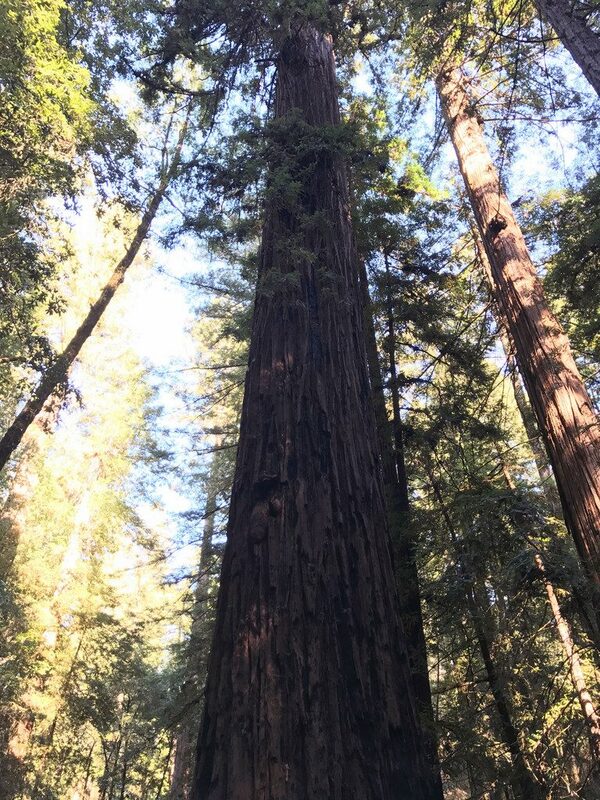 I had seen redwoods when I was a kid and Chris and I drove around Muir Woods the last time we were in the area (but it was so crowded, we couldn’t even park to get out of the car! ), but he always wanted to get up close. And I have a feeling that no matter how many times you see these trees, you still feel a sense of wonder and amazement. And like you’re pretty darn small. This was just the walk we needed after that huge brunch at the Fremont Diner. 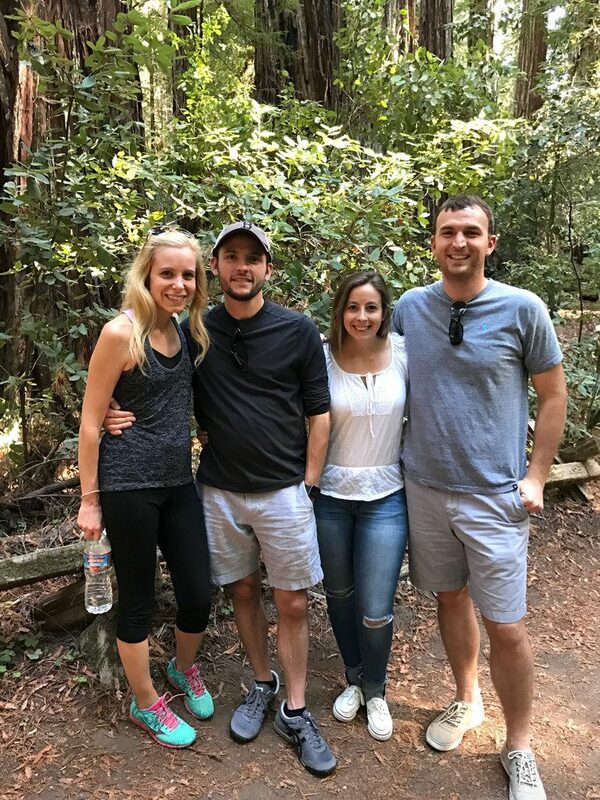 Excuse the fact that I’m the only one wearing workout clothes; I clearly missed the memo that our walk wasn’t going to be a strenuous uphill hike! 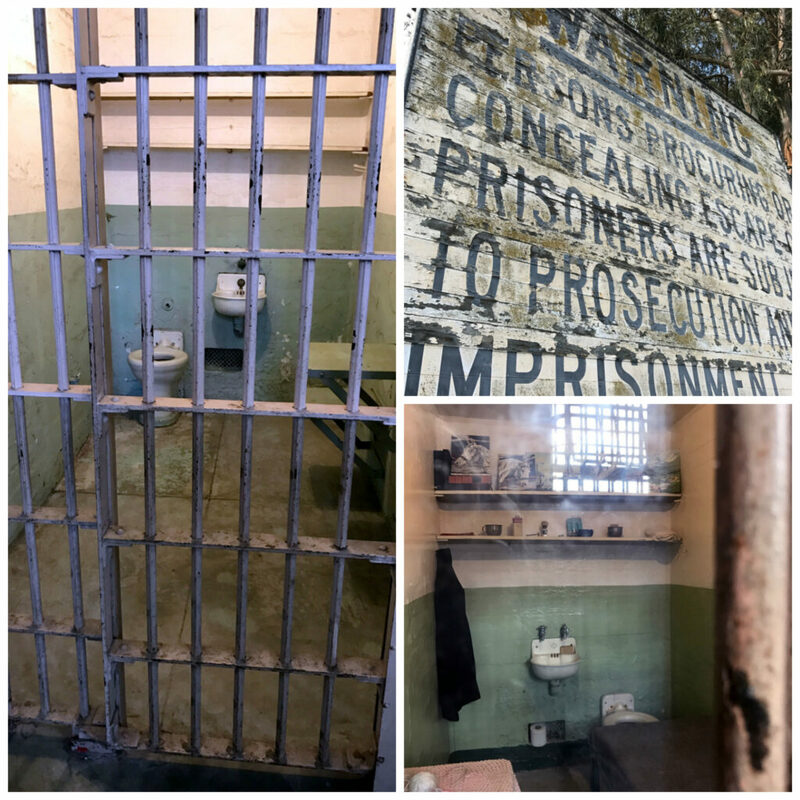 Alcatraz- This was my sixth time in San Francisco. To be fair I’ve been there a few times for work/blogging trips with pre-planned agendas. But still, I’ve been to the city six times and have never been to Alcatraz before. So glad I could finally change that this trip! We all took the ferry over. And arrived at Alcatraz island in about 15 minutes. How cool does it look?? We opted to do the audio tour so we could meander around as we pleased. It was very crowded and at times a little annoying, but I still felt like we got to see everything we wanted. The old cells are so creepy. 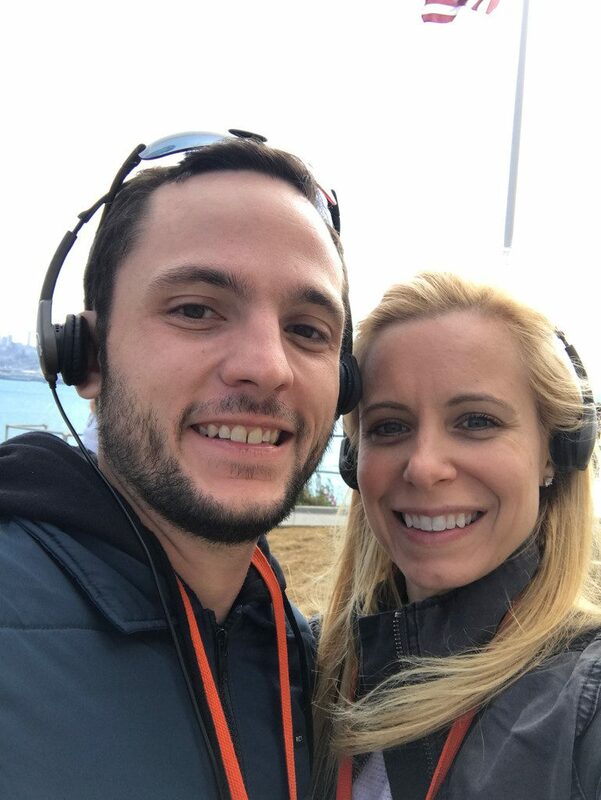 I don’t know; maybe I’m just jaded by the world we live in today, but even though it wasn’t even so long ago that Alcatraz was open, they seemed like much simpler times. 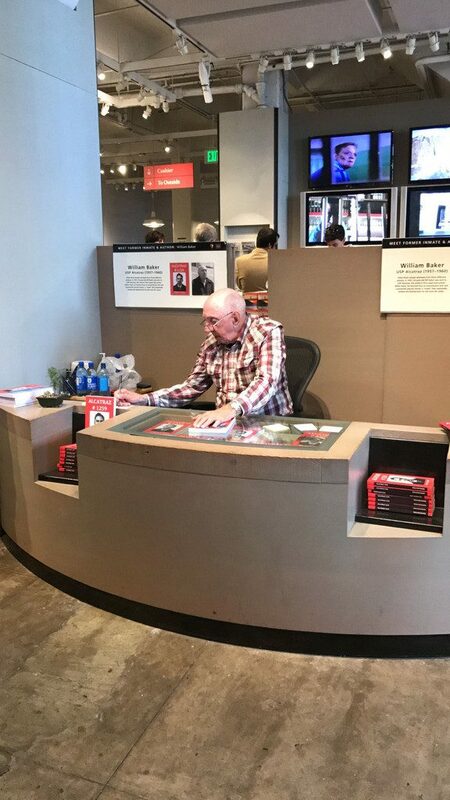 A big surprise awaited us at the end of the tour… A former Alcatraz prisoner was signing his book in the gift shop! He was at put in jail at age 24 for cashing fraudulent checks. 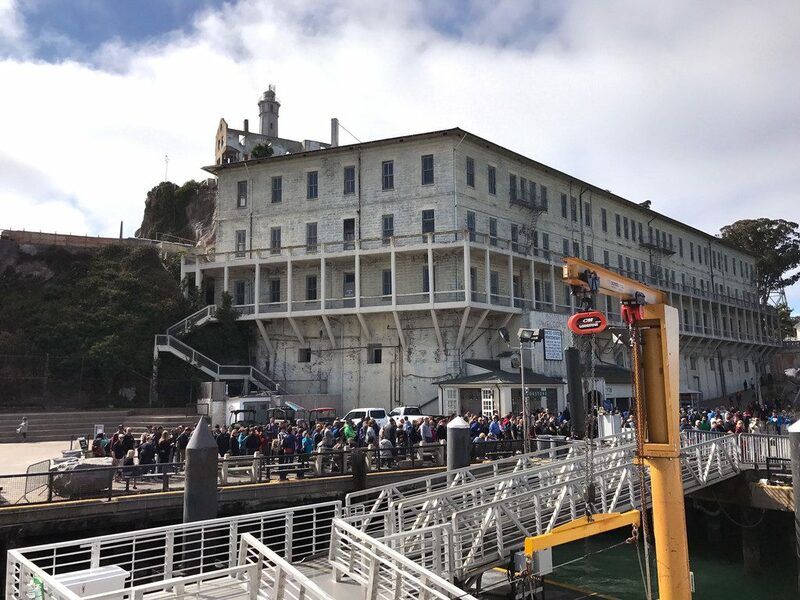 In the grand scheme of things, that doesn’t sound like the worse crime ever, but since Baker had escaped from so many prisons in the past, they brought him to Alcatraz. Pretty cool to see a former inmate back at Alcatraz. And I’m sure it was pretty surreal to him. Just a couple quick notes on where we stayed during our visit, aside from a night at our friends’ lovely apartment! 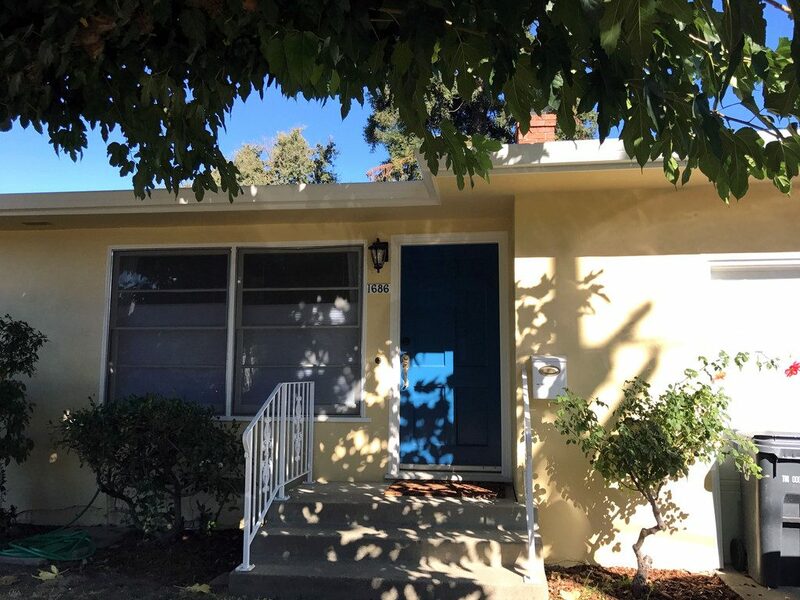 Airbnb in Napa- This was my first Airbnb experience and probably as good as it gets! We stayed in a cute little bungalow that was incredibly clean and comfortable (trust me… I do not do well with hotels/homes/etc. since I’m a major germaphobe) and perfect for what we wanted. It was super close to Downtown Napa, but was so comfy, we almost didn’t want to leave. The backyard sported a fire pit that we drank coffee around each morning and happy hour-ed around a couple times, too. I didn’t take many interior pictures, but if you’re looking for a place to stay in Napa, you can see more here! I’ve been a little wary of Airbnb, so I’m incredibly happy my first experience was a success. Sheraton Fisherman’s Wharf- Chris and I often stay at Starwoods properties when we travel since we have Starwoods credit cards and like to use our points. So, we booked the Sheraton Fisherman’s Wharf for our stay in San Francisco. I wasn’t totally thrilled to stay in the super touristy section on San Francisco, but it was close to where most of our plans were and our points get us a very good deal. Lucky for me, I was so pleasantly surprised by the hotel. 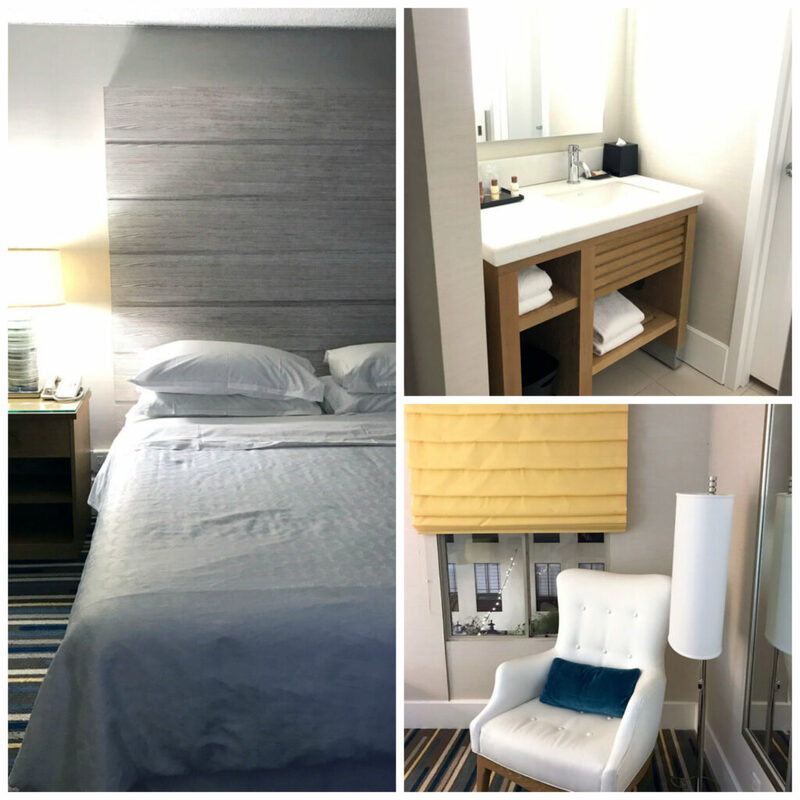 It was super trendy and clean and our room was much larger than I expected (I think I must just get jaded by Boston and New York City hotel rooms). I really, really wanted to steal that headboard for our home. But couldn’t quite figure out how I’d smuggle it on the plane. What a great place to rest our heads (the little we did…) and reenergize for all of our eating, drinking, and adventuring. I’d definitely stay at the Sheraton again. Whew! I honestly didn’t think I had that much to share until I started editing photos and writing this post. The thing about San Francisco (and surrounding areas) is that there is SO SO SO much to do that you need to go back a million times in order to do it all. 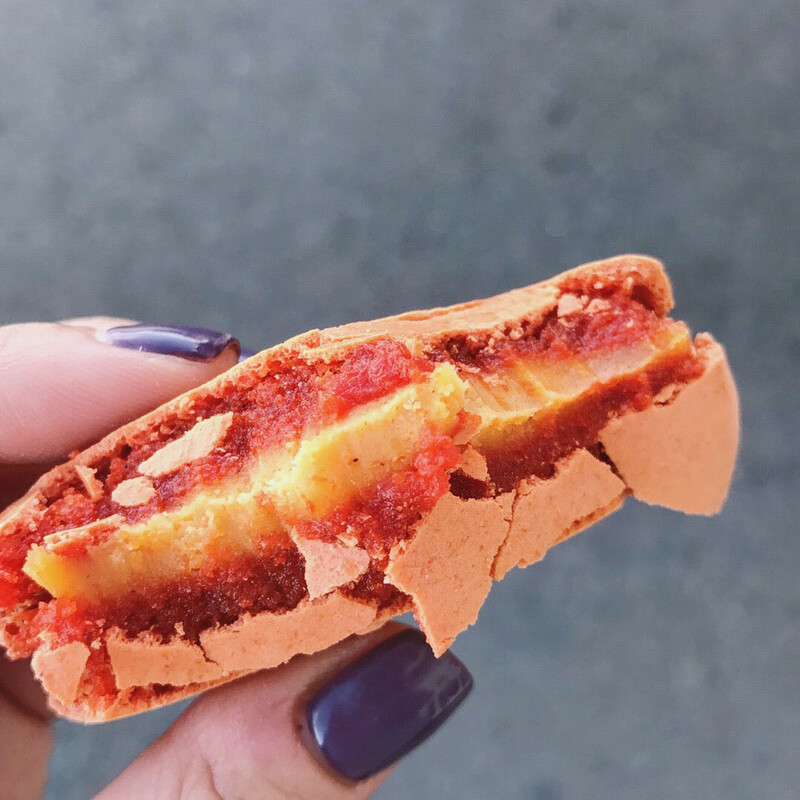 And even then, there are plenty of things you want to re-do (ahem, dinner at Morimoto… Another one of those pumpkin spice macarons??) and so many new spots opening that you basically just have to move there. Which, don’t worry, we’re not going to do (though Chris would love to). We’re very thankful we have good friends there who would probably be fine with us coming back to visit again soon. 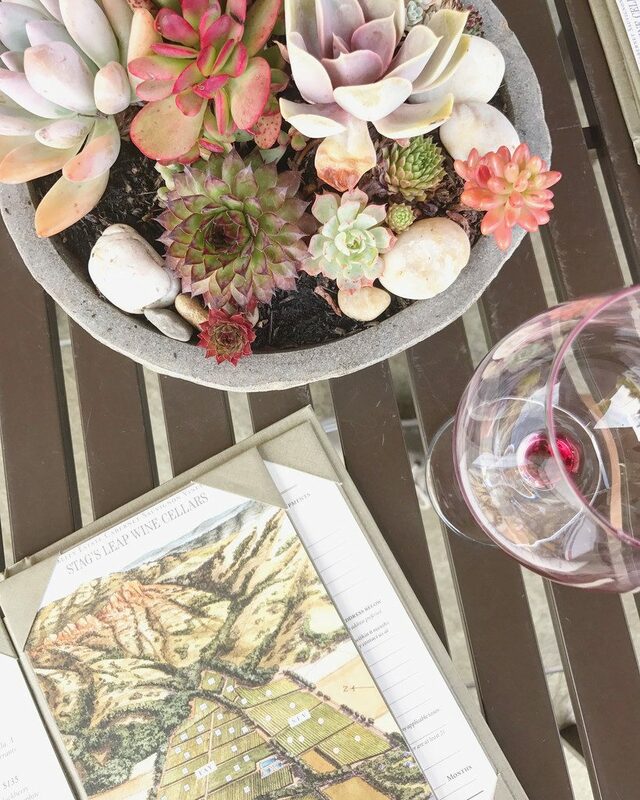 What’s your favorite thing about San Francisco and Wine Country? 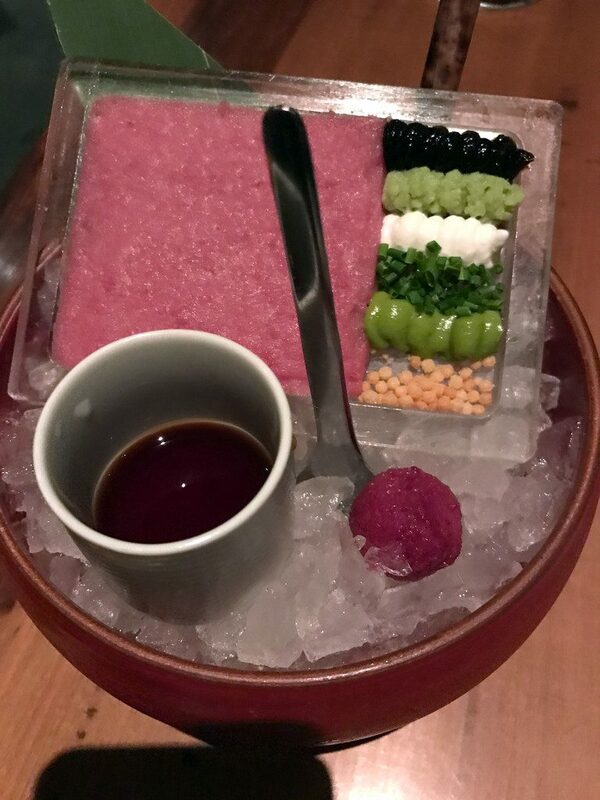 8 Responses to "Where to Eat and Drink in San Francisco and Napa: Morimoto, Boulevard, Ad Hoc Addendum, and More"
Wow, what amazing meals. I have only seen chef Morimoto on Iron Chef and I would love to eat at his restaurant. Such a sweet trip! I need to get out to San Fran and start eating!!! Like, where to freakin’ start?! Everything looks amazing! 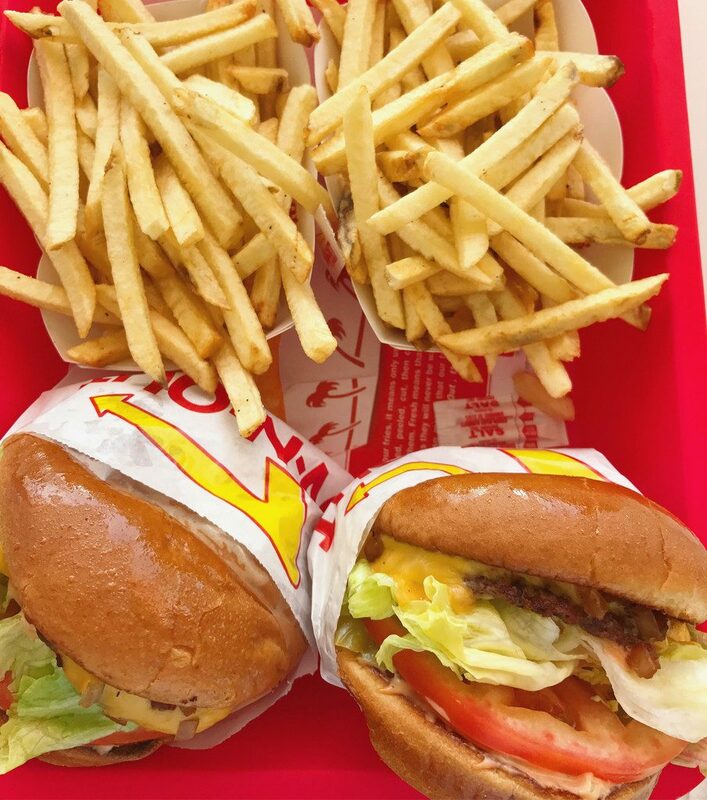 I’ve never had an ‘in-n-‘out’ burger, but it looks great. 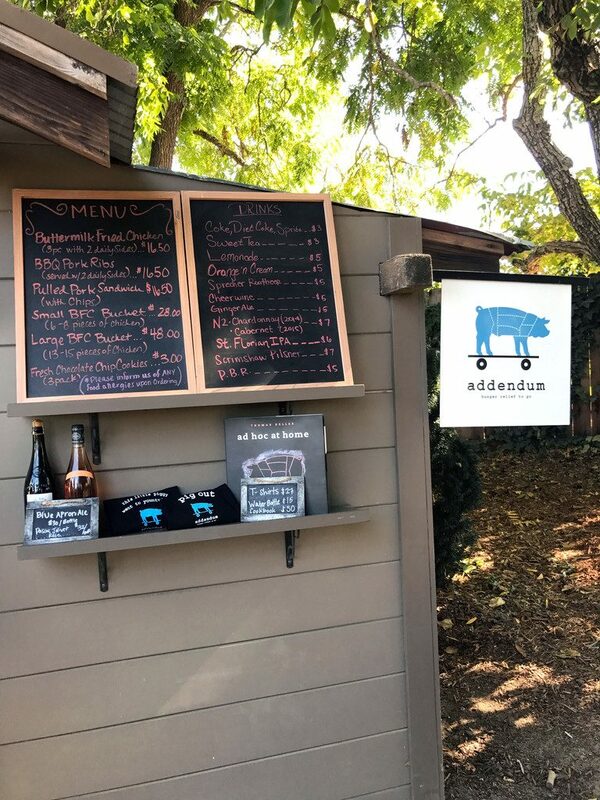 And that chicken at Addendum? What? And you get to bring your own wine without corking fee. That is just AWESOME! I’m ALL about the food when on vacay. Some people are about beaches and stuff. Not me. Food. All the way. 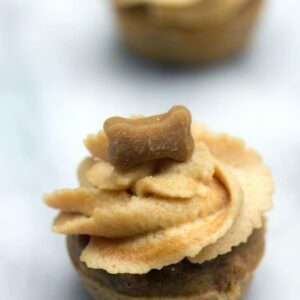 I’m super hungry right now after seeing your post. I would love to visit there soon 🙂 !! 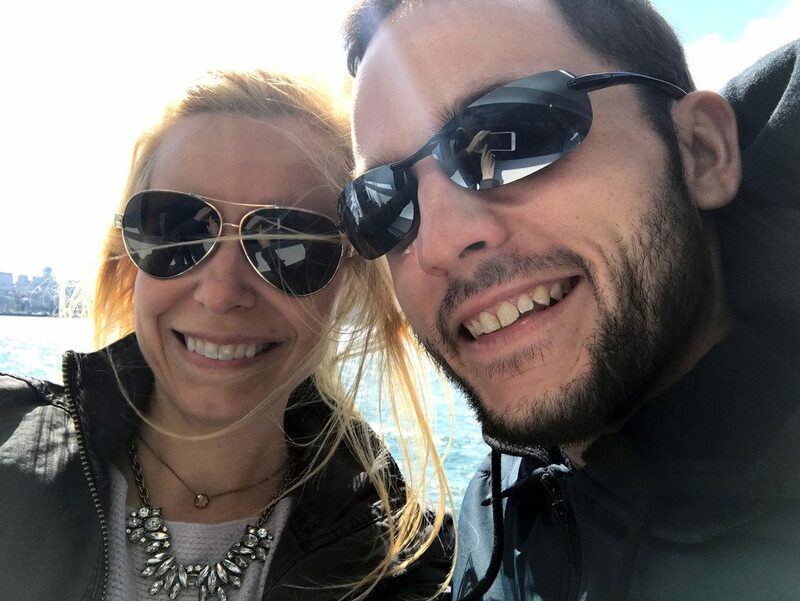 What an amazing vacation, love all the recommendations! And I’m right there with you, I feel sad when I go through photos after-the-fact because I want to be on vacation all over again. Wowza, it looks like you guys had a KILLER time, Sues!! I’ve been to Cali a few times, but never to San Fran or Napa. Womp womp. I have been DYING to go, and now after all your photos and wonderful words I feel like I need to book a trip for tomorrow. 😉 Totally bookmarking this for when I finally DO make it there!! Thanks for sharing! P.s. I always get super sad looking back on vacation pictures. Makes me wish I could just vacay as a job, right? P.s.s. I’ve never had In-n-out burger. Gotta do that, huh? I miss Sonoma so much! We stayed at a B&B right off the main square, which was perfect. 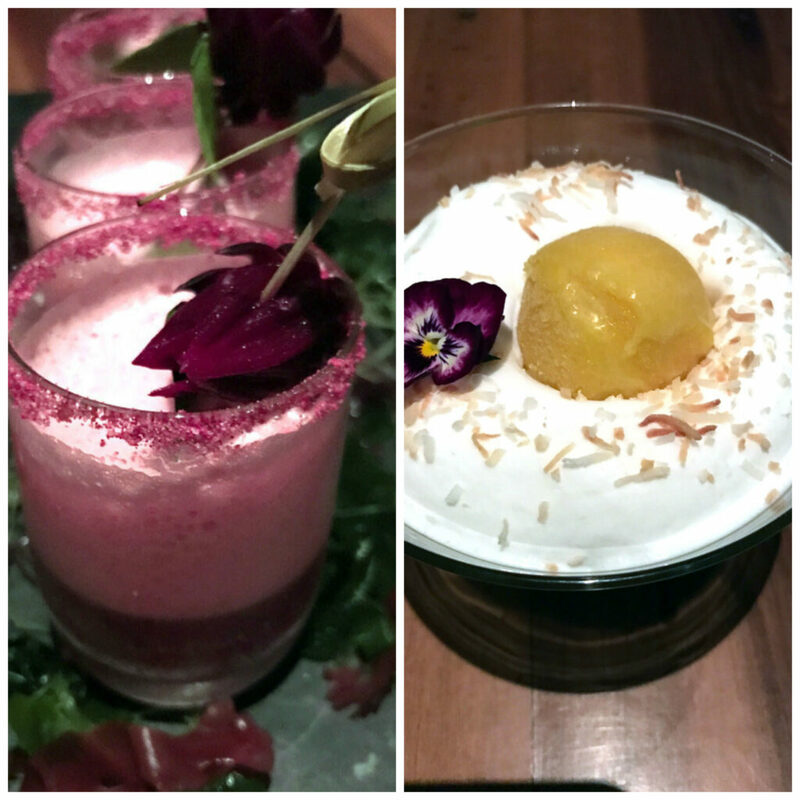 Have you been to Girl & the Fig? If not, you must go, it’s amazing! We also loved Harvest Moon Cafe. Both are on the square! Domaine Carneros for a champagne flight is really great, we really enjoyed it!